This Thanksgiving will go down as one of the more eventful In Bolingbrook’s history. The Babbler has the exclusive details! 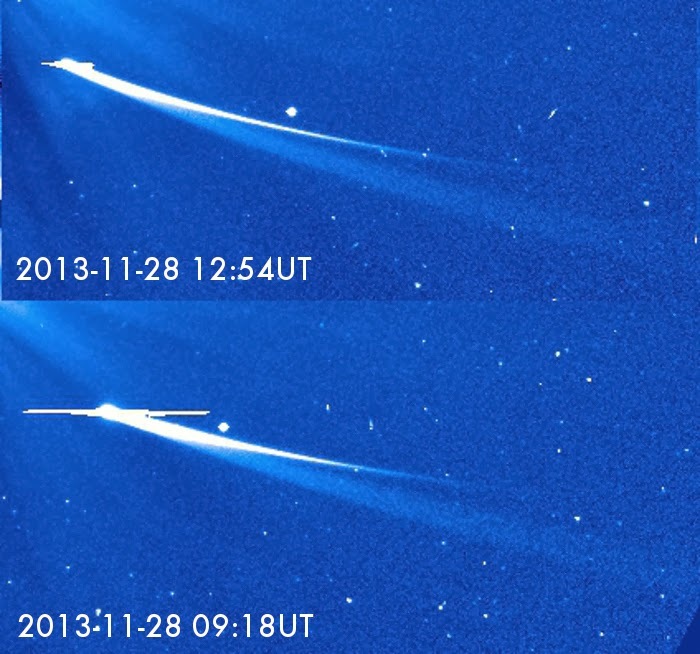 Twenty survivors of the Comet ISON breakup were treated at Clow UFO Base’s trauma center Thanksgiving evening. They were treated for radiation burns, severe sunburns, and exposure to the vacuum of space. 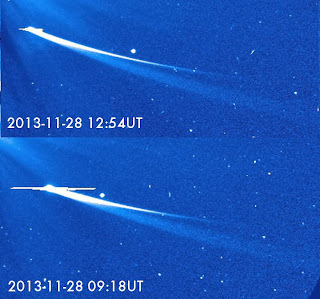 According to Clow spokesperson Paula Z. Franks, about 100 aliens were on the surface of Comet ISON when it was at its closet approach to our sun. They were participating in the extreme sport known as comet surfing. The trauma center seemed barely organized as they struggled to deal with the sudden influx of patients. Ogoddoo, a survivor from HD 85512 b described the chaos shortly before Ison’s breakup. Franks says all twenty survivors are in stable but critical condition. It is not clear if they will be enrolled in the Humanoid Corrective Learning program after recovering. An alien skirmish lead to eight arrests outside the Bolingbrook Walmart around 11 PM Thanksgiving evening. The Men in Blue arrested four aliens fighting on the ground, and the air force broke up a dog fight between two UFOs over the store. No humans were injured and there was no property damage. Three eyewitness claim to have seen a were turkey wondering around Bolingbrook on Thanksgiving afternoon. Don, who asked not to be identified, claimed he also saw the monster. The Department of Paranormal Affairs could not be reached for comment.